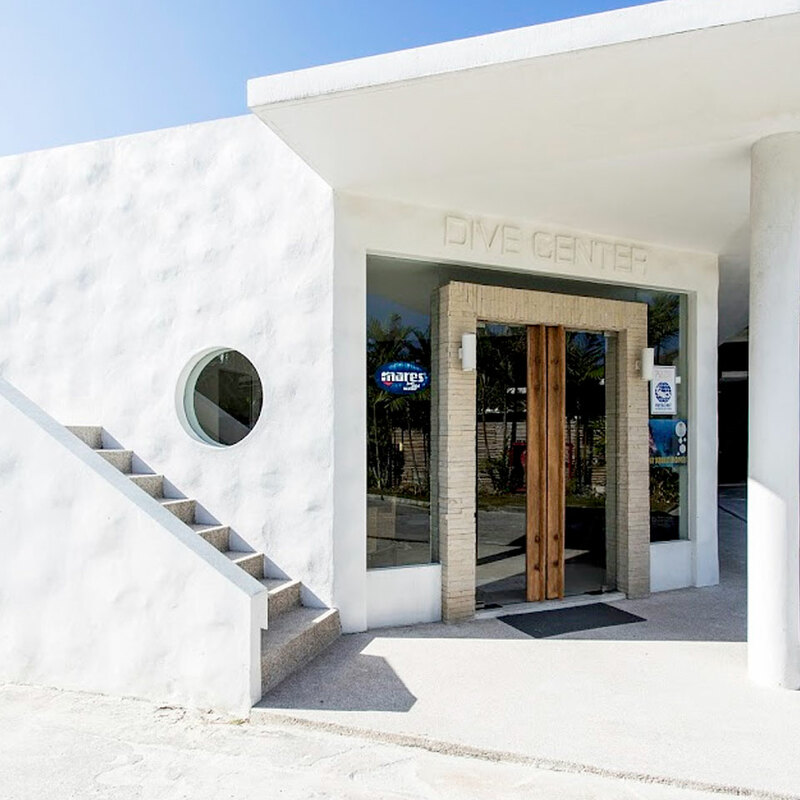 The five-star Racha Dive Center is fully equipped with a purpose-built three-meter deep ozonated instructional pool, air-conditioned classroom and spacious retail shop. 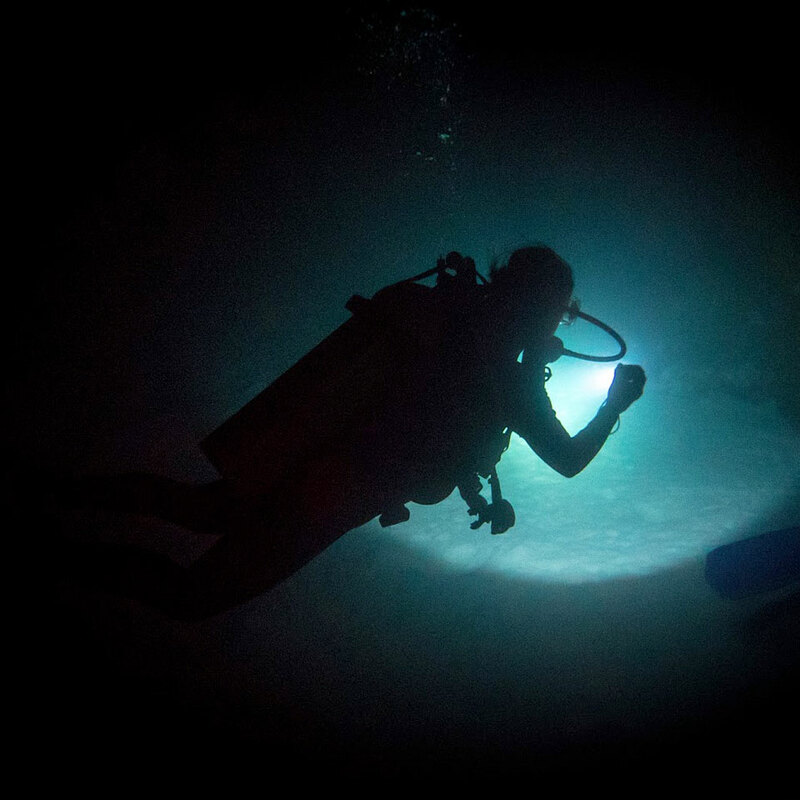 The center offers personalized PADI scuba instruction and diving trips to the Andaman Islands most unique and beautiful sites. immediately at the waters edge and starts to taper off around 20 meters. a many unforgettable colorful reef fish. A brief introduction to some of the island’s best sites… just minutes from the resort. 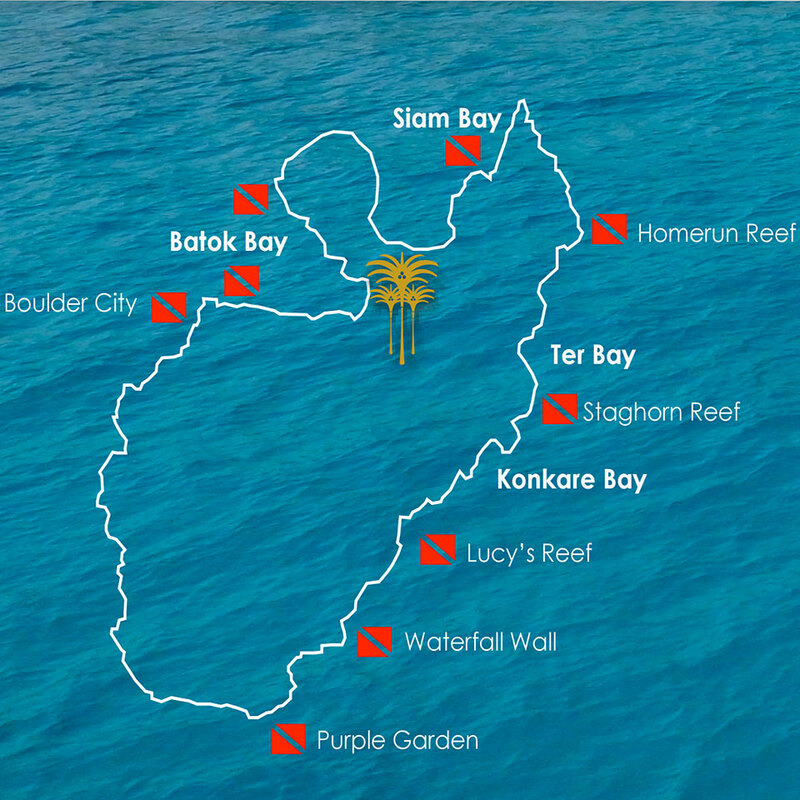 The east side contains the majority of the dive sites – gently sloping Lucy’s Reef is home to moray eels, lionfish, nemo and a good selection of tropical reef fish. titan triggers and if you are lucky, manta rays. shoals of glassfish, giant morays and large groupers under the wrecks. Batok Bay, fronting The Racha is home to 250 pH-neutral concrete Reef Balls. 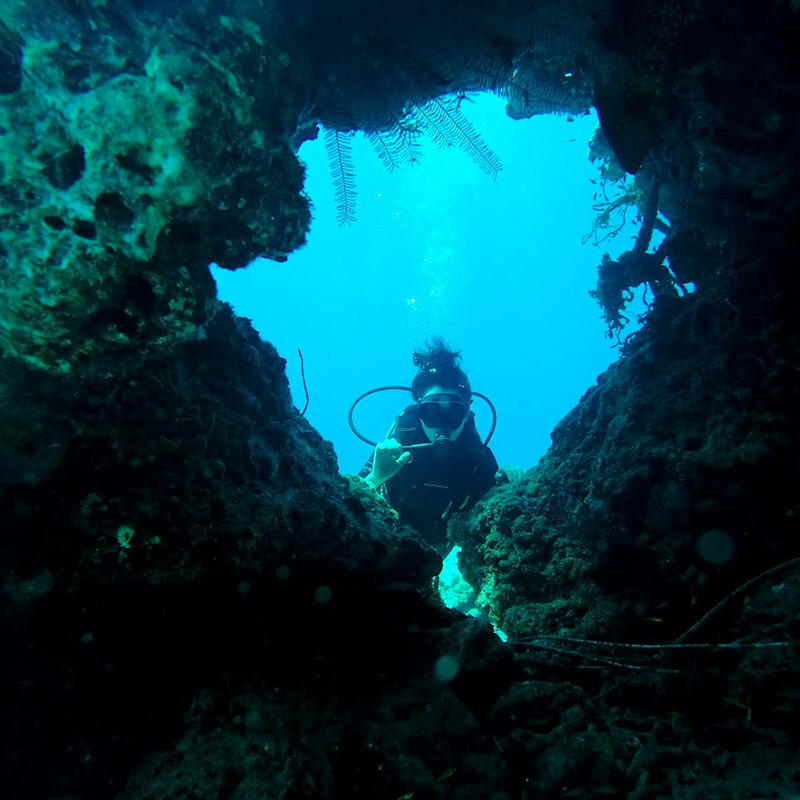 King Cruiser Wreck & Dok Mai island in the Dive Center’s purpose-built dive boats.